As part of our mission to improve your productivity, ClickUp provides numerous ways for you to track time spent on tasks. 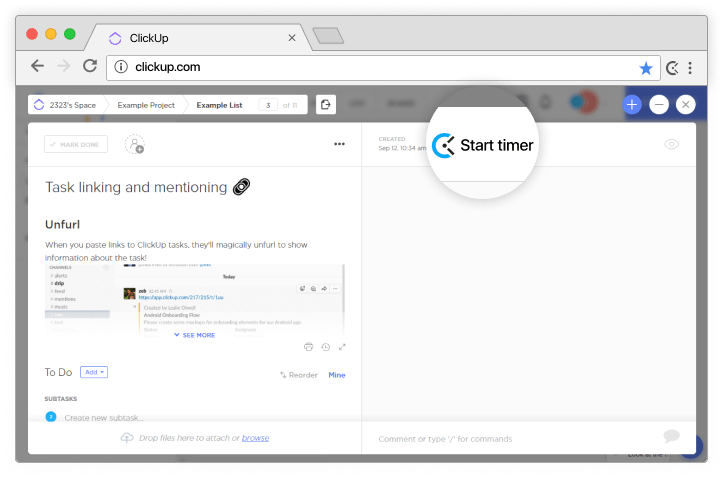 We've set up diverse time tracking integrations with Harvest, Everhour, and Toggl, but ClickUp's Chrome Extension offers native time tracking, image mark-up, and more for free! View cumulative time tracking logs for each team member for accurate information on how time consuming a List of tasks has been. View time tracked manually and automatically, such as with the ClickUp Chrome extension, Toggl and Harvest. Export the data for even more information. Please note that Reporting is available only for Unlimited Plan users. Once you've enabled time tracking within a Space, you can utilize this feature to sort and filter your tasks in List View. Just click on the filter button or select the Time Logged sorting option from the columns shown above your list of tasks! Note: You can choose to hide time tracked from invited guests. Check out this doc to learn more! Forget to input your time tracked at an earlier date? You can do it now in just a few simple steps! Don't forget to click Add to log the time! Enable the Time Tracking ClickApp in your Space by going to your Settings. Once enabled, you'll find the Log Time icon in the top right of every Task in that Space. Click on the icon and choose to add time and/or time range manually with our natural language processing feature, or select a specific time from the calendar. The task stores your time in individual batches, but you can also see who else worked on this task, and for how long. Install the Everhour Extension to time work within ClickUp tasks, as well as edit time logged and add time estimates. The integration offers other exclusive benefits such as flexible reporting and sharing, and a live view so you can be aware of what your teammates are working on at all times. One of the highlights of this integration is that time tracked in Toggl will automatically be synced to ClickUp tasks. 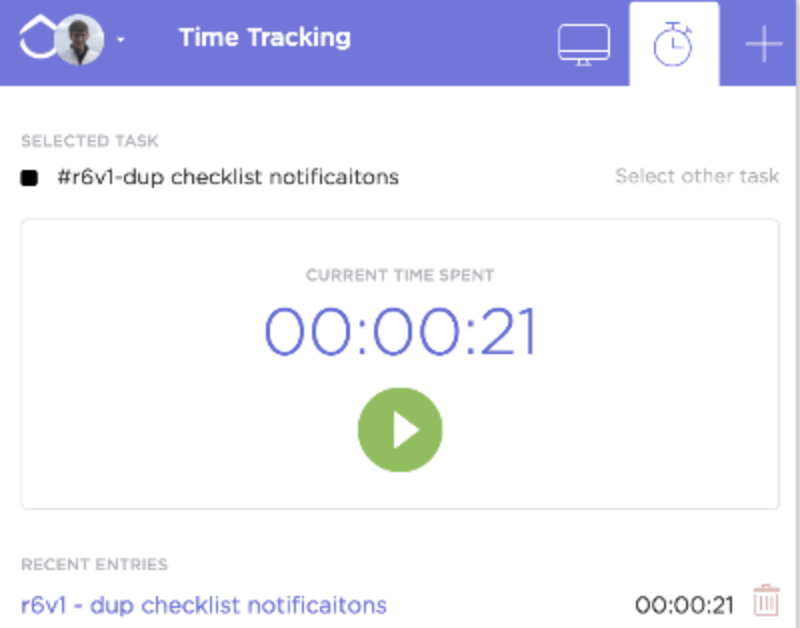 Users can start and stop time tracking without leaving ClickUp, and associate time tracked with ClickUp tasks automatically. Once you've downloaded the Toggl Extension, all you need to do is sync Toggl with ClickUp from your ClickUp Settings. You'll then be all set to start tracking time in your tasks! With Harvest, you have another opportunity to sync time automatically with your ClickUp tasks. As you add time to tasks in ClickUp, your Harvest time tracking sheet will be updated with each entry containing the task title and task ID. This integration is particularly great for visualizing time spent on ClickUp tasks. Quickly add time log entries to your timesheet to invoice clients, or analyze your team's activity in ClickUp with Timely's pre-prepared dashboards. Choose from a manual option or an easy start/stop timer. You can also link ClickUp Projects to your Timeneye account for a higher level overview of your progress! 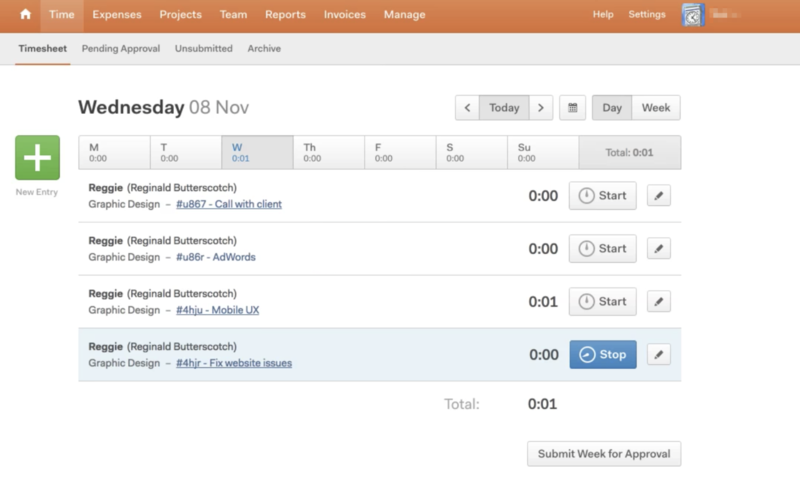 Track time in ClickUp tasks with a single click, and then run time reports directly from Clockify for free. Clockify will also automatically detect the name of your ClickUp task and start the timer. You can stop the timer through the Chrome, mobile, and desktop Clockify apps. In Clockify's web version, you can edit past time entries, invite people, export reports, and much more. 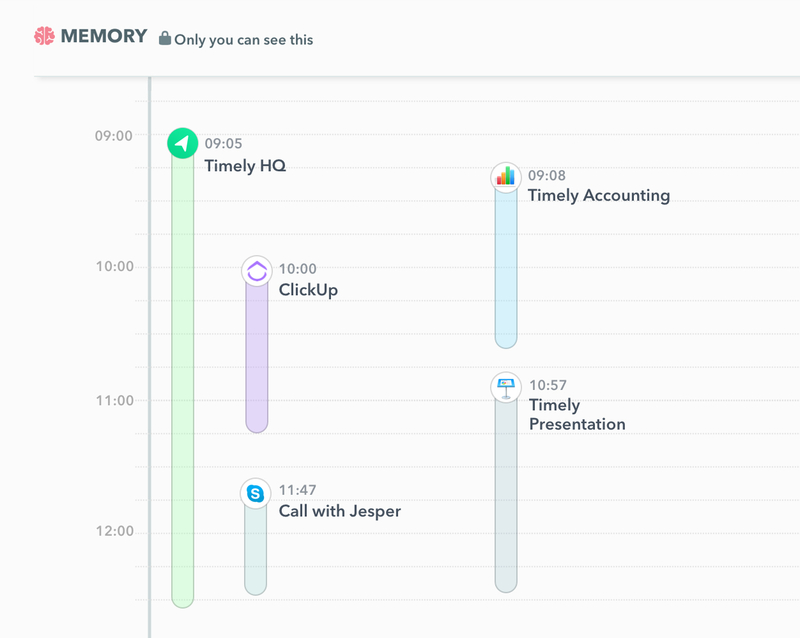 *Note: Chrome Extension based time tracking will not work in the ClickUp Desktop app. Coming soon: Time tracking integration with TimeDoctor! Are there other time tracking integrations that you'd like to see in ClickUp? Let us know here.